Come and take a look at what a pterodactyl would see soaring above Jurassic Park in this drone video from EPIC AERIAL PRODUCTIONS. The aerial photography captured here features the wild beauty of Waimea Canyon on the island of Kaua’i, one of the locations for both Jurassic Park and Jurassic World. We’ve all seen epic videos of drones flying above waves and along pristine beaches, but this video shows a different side of Hawaii. At over six million years Kaua’i is the oldest of the islands of Hawaii. This island has remained mostly untouched by humans for millennia, and the landscapes and soaring vistas in this incredible drone footage will take your breath away. Millions of years of tropical rain have dripped down these ancient mountains to form magnificent landscapes captured from the air. You’ll quickly see why this island is called the “Garden Isle.” Monolithic rocks, epic waterfalls, and lush forests—this video has it all! 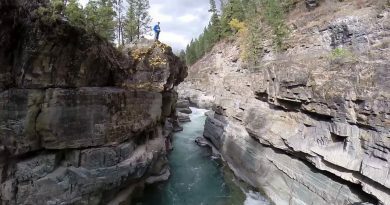 Videos like this one make us jealous of this drone flyer, and have us wondering what we’re doing putting up with cold climes rather than basking in a Hawaiian paradise. 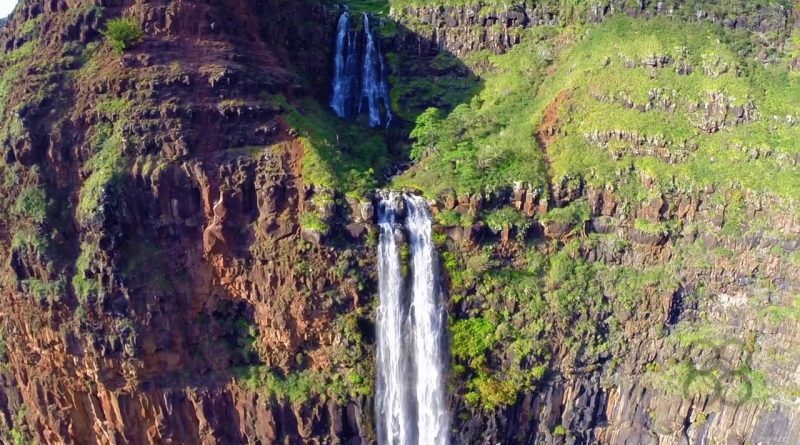 In short, these beautiful aerial images of Kaua’i will make you jealous.